Alan Glynn's first novel, The Dark Fields (2001), was filmed as Limitless starring Bradley Cooper, Abbie Cornish and Robert De Niro. This was followed by his loose "Land" trilogy of fast-paced crime thrillers, Winterland (2009), Bloodland (2011) and Graveland (2013). 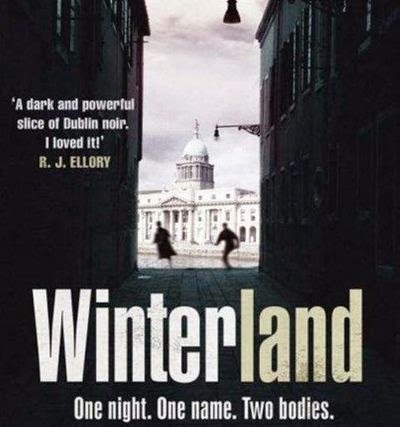 Set at the end of the Celtic Tiger boom, Winterland received rave reviews from writers such as John Connolly, Val McDermid, RJ Ellroy, Ken Bruen and George Pelecanos. Two men from the same family, die on the same night. One is Noel Rafferty a small-time drug dealer, and it seems to be a gangland murder. The other is his uncle, also called Noel Rafferty, in what seems to be a road accident. The official version of events is that it was a coincidence, but then a family member, the feisty Gina Rafferty, starts asking questions. Into the mix are shady developers and corrupt politicians in a Dublin just before the economic crash. Glynn was born in Drumcondra and studied English Literature at Trinity College Dublin. He worked in magazine publishing in New York and as an English teacher in Italy, but now lives back in Dublin, in Terenure.